I found this recipe in two different places. Iowa Girl Eats calls it Beanis Dip and I Love Food calls it Texas Caviar. Both recipes are exactly the same. I love this salad because it has cilantro in it. I know not everybody likes cilantro, so you can leave it out. I think next time I make this though, I might leave out the jalepeno pepper. This is really delicious by itself as a salad and it's also good with corn chips. I thought that was cilantro! I have GOT to try this , looks delicious and healthy! Oh my goodness, I will making this very soon! I love cilantro on everything. When I first saw this salad I thought of black eyed peas...what do you think? Could those be folded in too? Oh yummmm! Now that is full of stuff that I like! I like your blog and am happy to be following you via GFC and looking forward to more great stuff! Thanks a bunch! Following you back! I've seen similar recipes I really like yours. Love the different names for it, probably great for a football party. 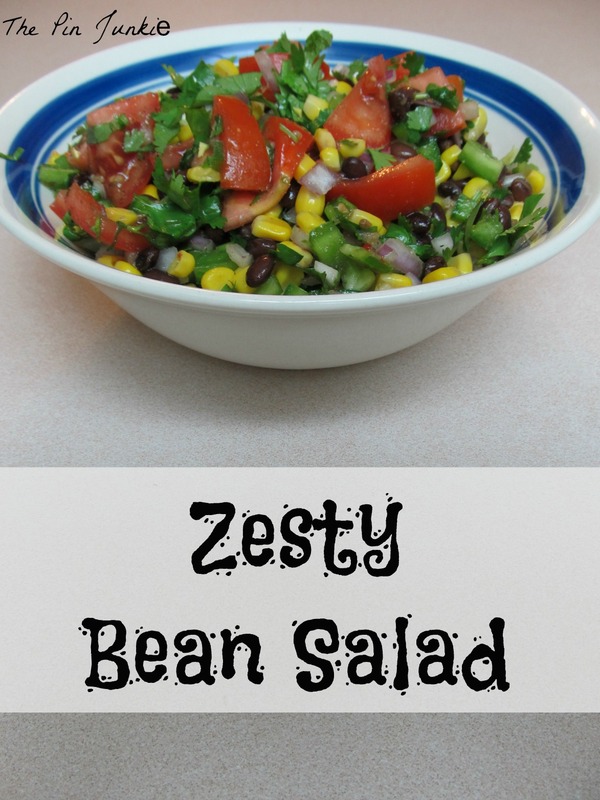 Thanks for sharing your bean salad on foodie friday. Yum! This sounds so refreshing. Just what I needed! I love bean salads but haven't had one in ages! Thanks for the reminder - I might try this soon! I might serve this at our super bowl party. YUM!! Good idea! So much healthier than many of the super bowl recipes I've seen. Now way, I love everything in here, cilantro and jalapeño! Thanks for sharing at One Creative Weekend! This looks so yummy! Thanks for linking up with Inspiration Spotlight @ DearCreatives.com Hope your having a great week & hope to see you again tomorrow! This sounds delicious and totally easy! Pinning to keep on hand for a great summer salad!